From the producer and director of the multi-award-winning documentaries Two Spirits and Beautiful Faces comes a fascinating look at one of the most visionary physicians of the last hundred years—a ground-breaking healer who risked ridicule in order to explore a virtually unknown physiological system and its vital role in human health and healing. 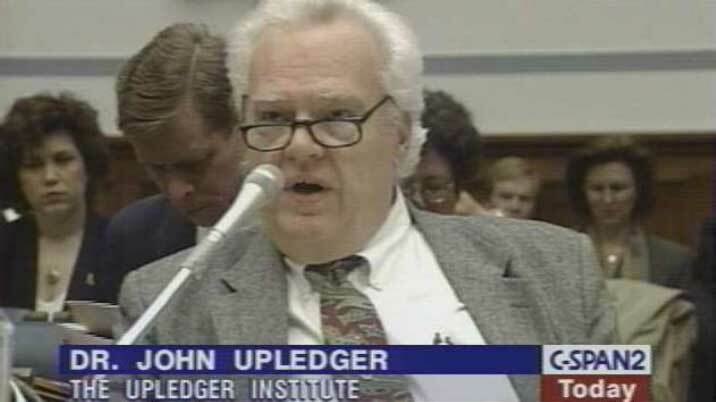 John Upledger never shied from risk-taking. 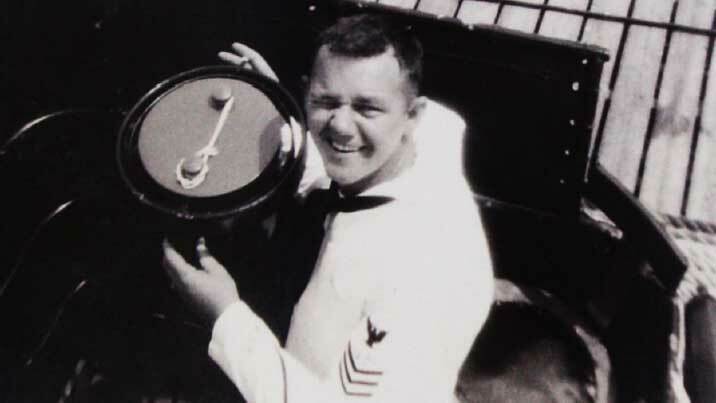 As a Coast Guard medic in the 1950s, he once single-handedly performed an appendectomy on a ship trapped in the eye of a hurricane, with the help of an onshore surgeon who guided him by radio—a life-changing experience, Upledger later explained, that led him to become a physician. 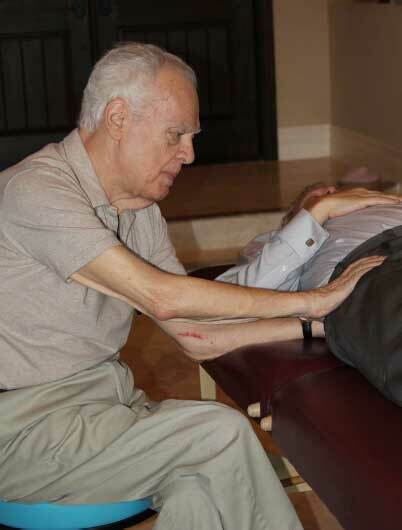 While assisting with a spinal operation in 1971, the young osteopath was startled to observe what he described as a slow, pulsating movement within the patient's spinal meninges. He attempted to hold the membrane still but found that he could not—the pulse was that insistent. From 1975 to 1983, as a professor and clinical researcher at Michigan State University, Upledger led a team investigating this mysterious pulse—which, theretofore had not been described in medical literature—as well as the notion first expressed in the 1930s by Dr. William Sutherland that the cranial bones of the skull are not entirely fused but, in fact, subtly and rhythmically move as part of an important physiological function. Upledger ultimately became convinced that both the movement of the cranial bones and the pulsing cerebrospinal fluid contained within the dural membrane that bathes the brain and spinal cord were little understood but nonetheless vital mechanisms, and that anything that blocked the flow of this fluid or the shifting motion of the bones could cause both physical and mental distress. "All these membranes affect brain function," he wrote, "and when they're not moving properly, there can be harm." The osteopath's contentions were laughable, heresy even, as far as most Western physicians and surgeons were concerned. 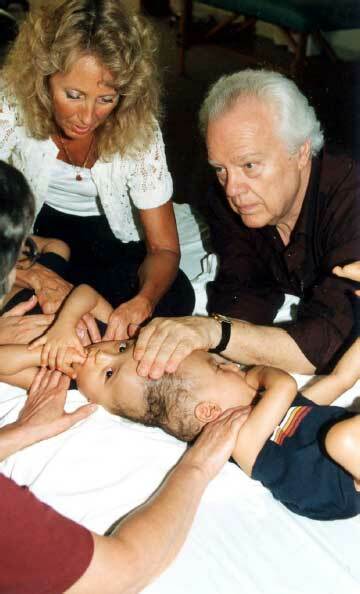 But cranial manipulation had been practiced by the ancient Egyptians and in India for centuries; Eastern medical systems like acupuncture and Ayurveda also long had acknowledged subtle movements that occur throughout the body, caused by the flow of an enigmatic force, sometimes called chi, life-energy, or the breath of life. In the years following the criticism Upledger received from the medical establishment, he might simply have been ignored, except that as he began to experiment with manual therapy, he often achieved astonishingly effective therapeutic results. "WHAT WE DO IS TAKE AWAY OBSTACLES, LIKE REMOVING STONES FROM THE ROAD." 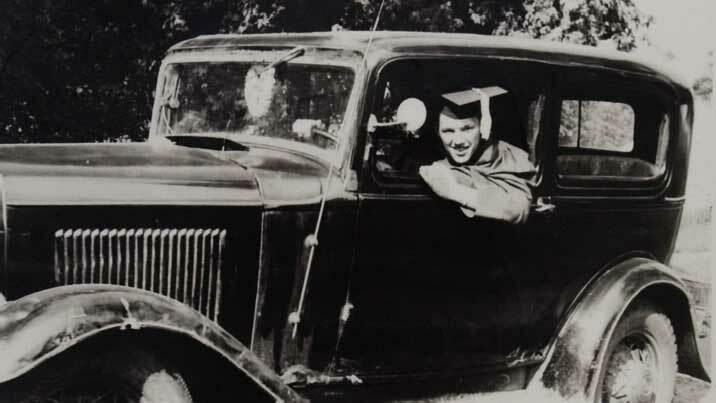 The first patient Dr. Upledger treated with his experimental therapy was a seven-year old boy with chronic and unrelieved pain in his ears; next, he treated a World War II veteran who was desperate to get relief from tinnitus (ringing in his ears) and incapacitating headaches, and both patients soon were pain- and symptom-free. Dr. Upledger treated five-year old and sixteen-year old boys who had autism diagnoses—both were mute, withdrawn, ritualized, and obsessive—and each was pronounced normal by other physicians after only a few sessions with Upledger. 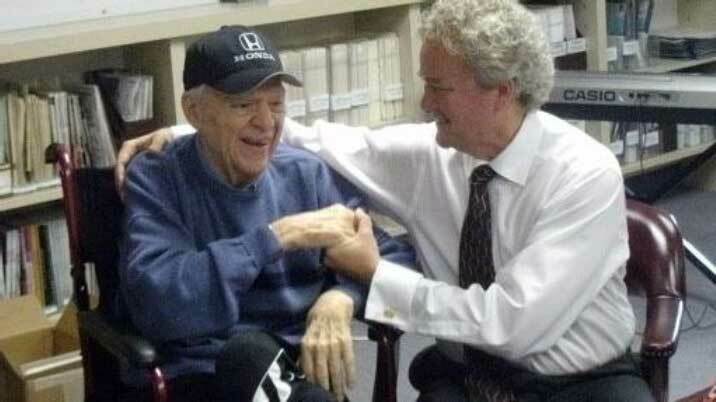 And perhaps most astonishingly, the underdeveloped arm and hand of a sixty-eight-year old man with Erb's Palsy became functional for the first time and even began to grow—something documented by comparative X-rays taken by the man's family physician—following craniosacral treatment by Upledger. Over time, the doctor and the therapists he trained successfully treated people with a wide range of health care problems associated with pain and dysfunction, including migraine headaches, chronic neck and back pain, motor-coordination impairments, traumatic brain and spinal cord injuries, scoliosis, learning disabilities, Down's Syndrome, stress and tension-related problems, and even post-traumatic stress disorder. In 1985, he established the Upledger Clinic in Palm Beach Gardens, Florida, as well as the companion Upledger Institute, which began to train therapists around the world. Time magazine hailed Upledger as one of the world's next wave of innovators in alternative medicine, and he was named to the Alternative Medicine Program Advisory Council at the National Institutes of Health. 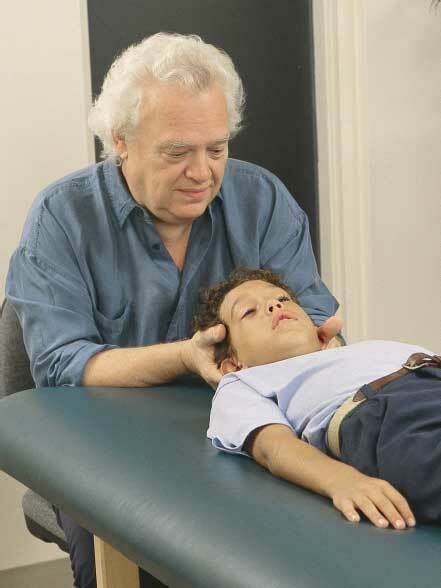 Today, more than 125,000 practitioners of CranioSacral Therapy (CST), located in more than a 110 countries around the globe have been trained by Dr. Upledger and his colleagues. The number of patients benefiting from the therapy he created continues to increase, because according to his son John Matthew Upledger (1957-2017), "he was willing to be scrutinized and criticized and break through established professional boundaries." "He understood that the techniques he developed could be ably performed by qualified body-workers, physical therapists, dentists, chiropractors, and the many other hands-on healthcare practitioners who serve large numbers of people of all socioeconomic standings." Always a risk-taker, and forever eager to help individual patients as well as explore new ways to enable bodies to heal themselves, Dr. Upledger traveled to Dallas early in 2003 to assist world-renowned reconstructive plastic surgeon Dr. Kenneth Salyer and a team of fifty colleagues as they prepared for an immensely complex surgery that would separate Egyptian, twins Ahmed and Mohamed Ibrahim, who were conjoined at the top of their skulls—surgery that ultimately was highly successful. And Upledger disturbed his critics once more when he began to explore the possibility that wild dolphins could, in fact, perceive physiological abnormalities and trauma in humans they encountered and help heal them, perhaps with the aid of their sophisticated sonar systems. As Dr. Upledger described his vision, "my intuition told me that there was great wisdom residing within each dolphin I met... I was certain that each possessed a powerful ability to understand a person's needs and 'heal' pain." 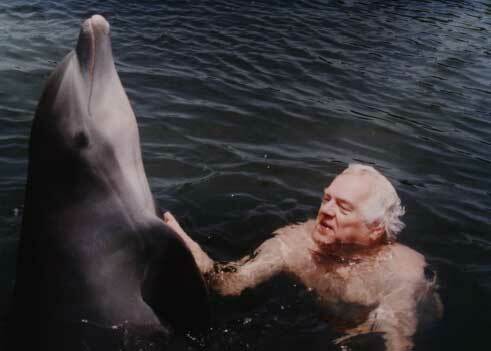 As he and his colleagues began to explore dolphin-assisted therapy in Florida and the Bahamas, once more their eyes were opened to radically new ways to perceive disease and healing as well as inter-species interaction. 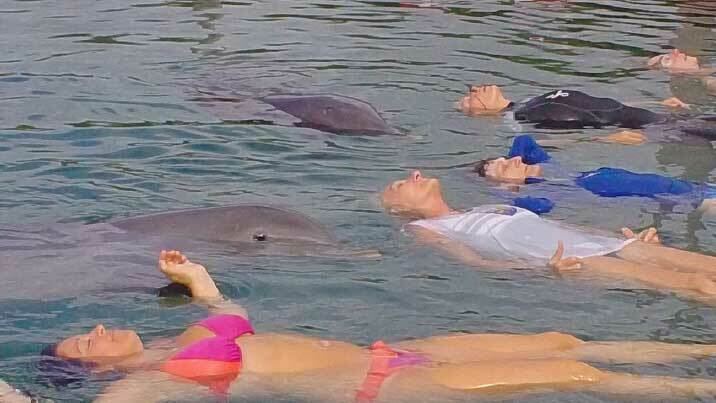 "Typically the dolphins would circle our patient-therapist group a few times," he wrote. "One of them would then approach very gently and... all of us would feel very powerful energy from the dolphin. The therapeutic results were often quite remarkable. I remember one young lady who had a crooked pelvis and a right leg that was shorter than the left. My goal was to gain some loosening of the injured pelvis and correction of its central control system in her brain. 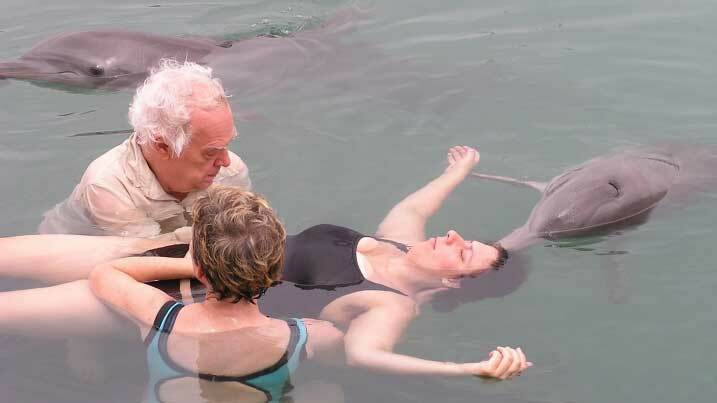 I and two other therapists were working with her in the water when a dolphin chose to join us. She never touched the patient, but at different times put her rostrum on the backs of the two assistant therapists for about a minute. 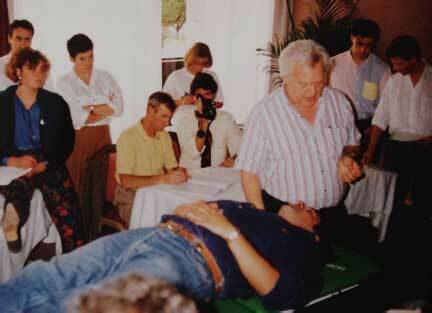 During each of these dolphin contacts we all felt significant but pleasant vibrations throughout the patient's body. I also felt the patient's pelvis release and soften each time contact was made. I'm convinced that dolphins, when allowed and encouraged to make their own choices, are powerful therapeutic facilitators." 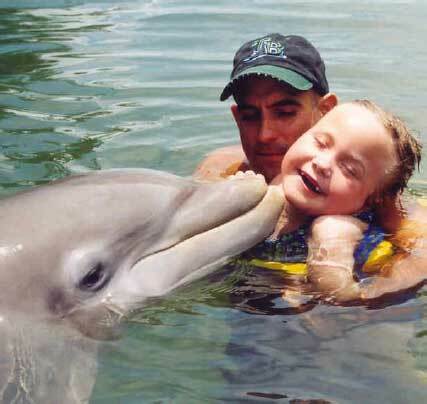 Patients and their families now travel from all parts of the world to take part in the dolphin-assisted craniosacral therapy programs offered by the Upledger Institute. 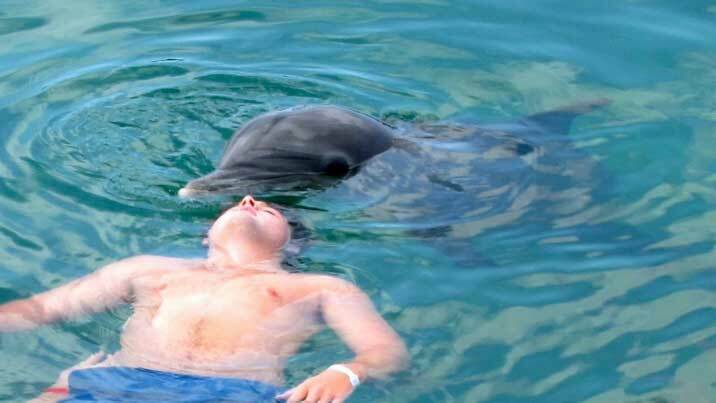 The dolphins only interact with patients when and how they choose to, and sometimes the results are astounding, like a four-year old girl who suffered from multiple daily grand mal seizures—which were pharmaceutically uncontrolled—who became seizure-free for more than a month after a dolphin focused her rostrum on the girl's head for a few seconds as she floated in the water. Virtually everyone who is "treated" by a dolphin comes away with a sense of having had a profound, if mysterious experience, and large numbers of patients report that disease symptoms and dysfunctions disappear or are dramatically reduced. 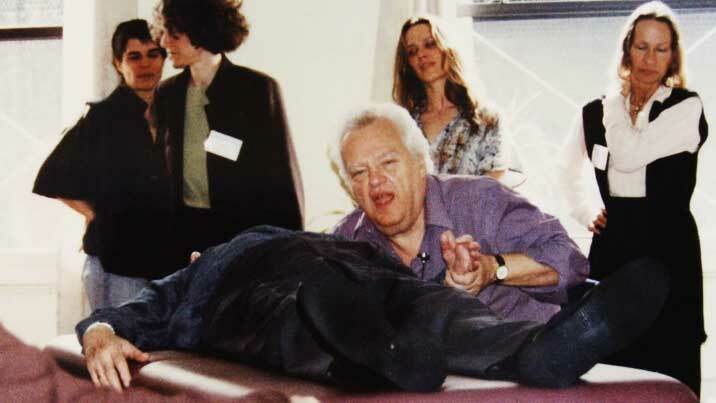 In the last months of Dr. Upledger's life—he died at age eighty in 2012—he still continued his lifelong exploration of the notion that the language of life is motion and that movement is a vital component of healing. Whether motion that's expressed as chronically rigid muscles at last relax, as cerebrospinal fluid flows freely once more within the dural membrane, or even sound that's imperceptible to human ears moving from an attentive dolphin into a patient's brain like a natural kind of ultrasound, health, healing, and motion are intimately intertwined, Dr. Upledger fervently believed. It's this symbiosis of movement and health that forms the thematic and creative core of Touch—a film that explores the nature of health and healing as it shares the story of Dr. Upledger's contributions to medical knowledge, his passions, his insights, and his tireless advocacy of the importance of coming to know and care for our bodies in ever new and effective ways. Touch makes captivating use of extensive archival footage and still photography of Dr. Upledger at work throughout his professional life, which is interwoven with compelling contemporary footage shot primarily at the Integrative Pediatric Therapy clinics in Dallas, the Upledger clinic and Upledger Institute international in Florida, and at the UNEXSO dolphin sanctuary at Freeport on the Island of Grand Bahama. 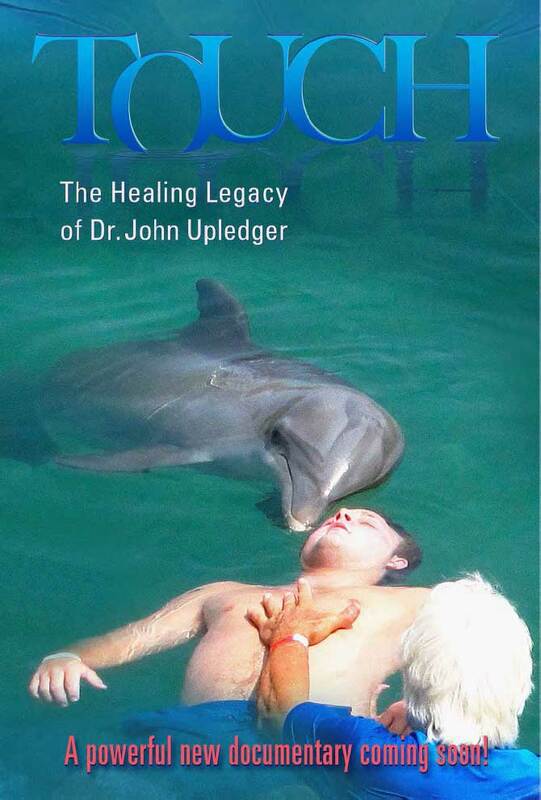 In a nonlinear, unchronological style, the film's four primary story arcs are creatively entwined: the development of Dr. Upledger's medical discoveries and craniosacral therapy; the broad spread of CST and its practitioners around the world; patient stories that arc from illness and disability to dramatic improvements and cures, and the visually arresting dolphin-assisted therapy that takes place in the azure waters of the Caribbean. Patients whose stories unfold in the film are chosen for their compelling personal narratives as well as the fundamental change CST has brought to their lives. Young and old, and from numerous countries and economic backgrounds, they share in common lives freed from pain and disability, lives renewed and filled with hope for the future. Primary interviews feature Dr. Upledger's son, John Matthew Upledger, who discusses his father's life and profound legacy, CST therapist Sally Fryer, an internationally renowned sensory development specialist, who describes her evolution as somewhat of a skeptic regarding CST to a caregiver who now uses it with remarkable results virtually every day; former NFL running-back Ricky Williams, who believes CranioSacral therapy offers enormous benefits to athletes recovering from concussions and other injuries; Dr. Nuno Costa, a Portuguese physician based in Brazil who explains that CST is a vital and very beneficial modality that has altered his fundamental ideas about health and healing; Dr. Chas Perry, a CST certified therapist and perhaps the world's foremost authority on dolphin-assisted therapy; CST therapist Carol McLellan, who relays remarkable stories of patients whose lives the therapy dramatically improved, as well as many others. 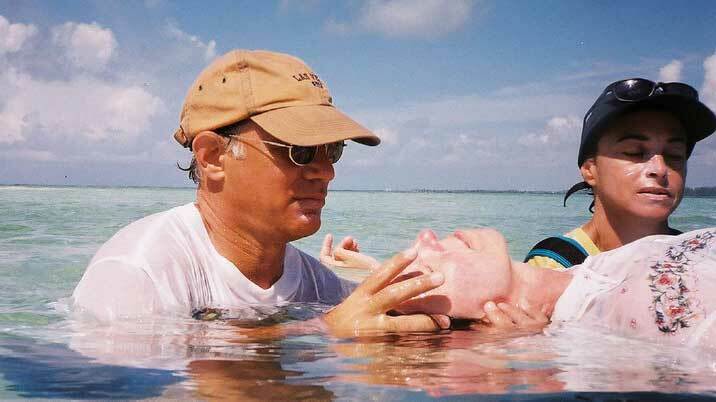 The film's examination of therapists and patients working together in the water with dolphins is shot during dolphin-assisted therapy program weeks in Freeport. 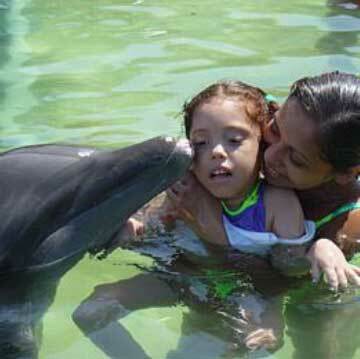 It is a setting in which the interactions between caregivers and patients, and people and dolphins, are intimate, often dramatic, and always visually stunning. The team of filmmakers who created Touch has extensive experience telling stories about complex and often-challenging human issues. Their films have been widely applauded for bringing humane perspectives to the lives they encounter and the stories they share. Both an examination of the unlikely origins of CST and its remarkable contemporary vitality, the documentary is filmed aesthetically rather than reportorially, and Touch is always a beautiful film to watch. The film is presented in English and can be subtitled for audiences around the world. Touch is shot in ultra high-definition 4K video in 16:9 aspect ratio and Dolby 5-1 sound and will be cut to an 85-minute runtime. This is a film about a man with a profound vision who gave true meaning to life as he brought health, vitality, and freedom to many thousands. It is a film about inquiry, experimentation, and the necessity to take risks. And it's a film about the body's inherent mission to renew itself, a documentary that ultimately demonstrates that the distinction between patients and caregivers is—on many levels—only an illusory one, and that our shared work is the freeing of the human spirit as we strive to make ourselves whole. Touch enlightens and moves its audiences, and inspires them to renew their own bodies as they embolden their spirits. TOUCH was premiered at a gala viewing party held on April 10, 2018 Upledger Institute International headquarters in Palm Beach Gardens, FL. Its is now available online worldwide, streaming at Upledger.org/TOUCH. Theatrical and semi-theatrical screenings will be scheduled in major cities and the film will be actively marketed at MIPCOM in Cannes and other industry festivals to broadcasters around the world. And ultimately, the film will be available via streaming for in-home consumer viewing by people around the globe. Its subject matter is universal, as is its broad reflection of hopes and aspirations, challenges and achievements that can reach the hearts of people everywhere. 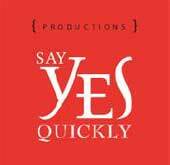 Filmmaker Russell Martin, the principal at Say Yes Quickly Productions, produced and directed Touch in collaboration with a team of highly talented co-producers, filmmakers, and advisors. Filmmaker Russell Martin, the principal at Say Yes Quickly Productions, produced and directed Touch in collaboration with a team of highly talented co-producers, filmmakers, and advisors. In 2012, he produced and directed the multi-award-winning documentary Beautiful Faces, broadcast around the world. In 2009, he wrote and produced the Monette-Horwitz award-winning film Two Spirits, which was broadcast during the 2011 "Independent Lens" season on PBS and won the season's Audience Award. His bestselling books, including Beethoven's Hair, Picasso's War, and Out of Silence, have been translated into two-dozen languages. 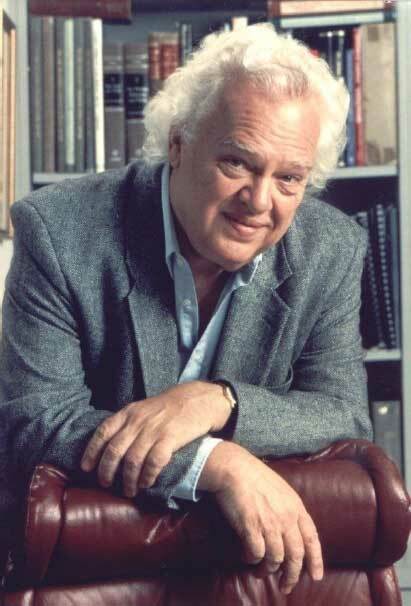 The international television documentary, Beethoven's Hair, based on his book and directed by Larry Weinstein, is the recipient of three Gemini awards and the Festival Director's Prize at the International Television Film Festival. Mexican cinematographer Hilda Mercado, AMC, who has an extensive background shooting feature films, commercials, and television series in Mexico and the U.S., and she shot additional cinematography for the documentary Beautiful Faces. In 2007, she received an Artistic Achievement in Cinematography Award for La Primavera at the ICG Emerging Cinematographer Awards. Her film A Piece of Earth, won twelve international awards and was selected for the cinematography competition at the International Film Festival of the Art of Cinematography "Camerimage" in Poland. Editor and Sound Recordist, Joshua King Ortiz was raised in Spain and educated in Madrid and California. He co-edited the documentary Beautiful Faces, and edited and produced The University of Nuclear Bombs, which was nominated for the Fund for Santa Barbara Social Justice Award at the 2010 Santa Barbara International Film Festival. Based in Los Angeles, he has worked at Univision as an editor and master control room operator, and currently edits documentaries, feature films, music videos, and commercials in both English and Spanish. 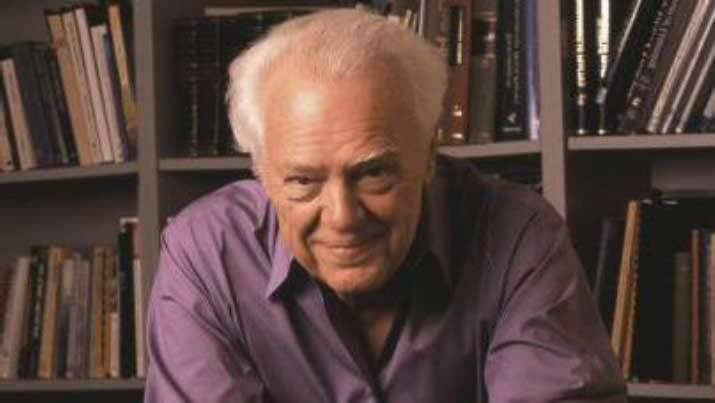 Arturo Solar, who wrote the original score for Beautiful Faces, is a Spanish composer living in Los Angeles and a winner of the Jerry Goldsmith Award. He has composed the scores for numerous feature films and documentaries around the world, including Tarina Tarantino, Alondra Smiles, and Raices Torcidas in the U.S., Desde dentro do corazón, in Spain, and El Ojo Único in Argentina. 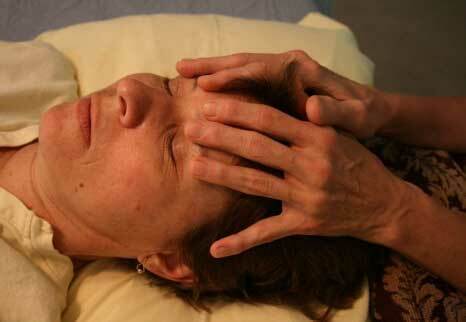 Touch will open your eyes to the miracles of the human body and its inherent ability to renew itself. You'll come away from the film newly aware that life is motion, and that motion is the essence of health. It's a film about a physician who risked everything to help others, who gave us back our bodies and encouraged us to touch the pulse of life.